I have a database and I need to read that in R. I found some packages such as Hmisc and RODBC which have the functions to do that. I am using windows and was not able to use Hmisc because you need to have mdb-tools package and I found no tutorial or way to install mdb-tools on windows. Now, I was trying to start with RODBC. I found this question "How to connect R with Access database in 64-bit Window?" which shows how to have a connection in windows. I tried to use the command similar to what was accepted answer in that question. I am not sure how to check and start diagnosing what's going on here. 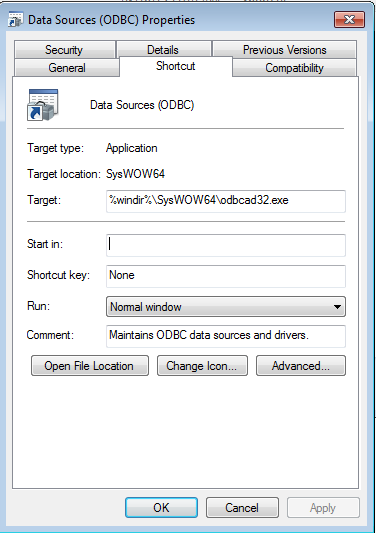 I went to administrative tools and checked the options on "Data Sources (ODBC)". . I changed the target to sysWOW. I am not sure if I need to select database or not. I found Brian Ripley's http://cran.r-project.org/web/packages/RODBC/vignettes/RODBC.pdf RODBC tutorial but still I am not able to make it work. I have had issues with this (trying to query Access 32bit from R 64bit) from a long time. I think it has been fixed in windows 10. 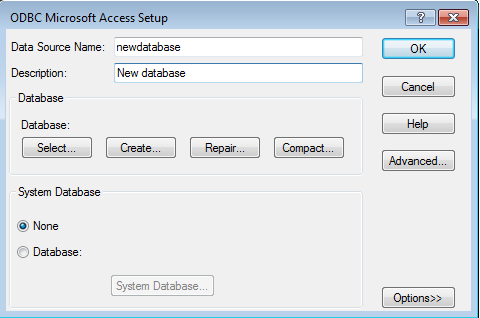 I made a kludge by modifying something I found in this post: How to connect R with Access database in 64-bit Window? Not the answer you're looking for? Browse other questions tagged r rodbc or ask your own question.